An issue with the blog management system caused repeated emails to be sent of our weekly new post digest. Subscriber emails have been disabled, and we are working with IT to determine the cause and resolve it for the future. Thank you for understanding. We initiated a 4-year study at the Aurora Research Farm in 2015 to compare different sequences of the corn, soybean, and wheat/red clover rotation in conventional and organic cropping systems under recommended and high input management during the transition from conventional to an organic cropping system. We provided a detailed discussion of the various treatments and objectives of the study in a previous news article (http://blogs.cornell.edu/whatscroppingup/2015/07/23/emergence-early-v4-stage-and-final-plant-populations-v10-psnt-values-v4-and-weed-densities-v12-in-corn-under-conventional-and-organic-cropping-systems/). Unfortunately, we were unable to plant wheat after soybean in the fall of 2016 because green stem in soybean, compounded with very wet conditions in October and early November, delayed soybean harvest until November 9, too late for wheat planting. Consequently, corn followed soybean as well as wheat/red cover in 2017 so we are now comparing different sequences of the corn-soybean-wheat/red clover rotation with a corn-soybean rotation (Table 1). This article will focus on weed densities in soybean in 2018 (highlighted in red in Table 1) at the full pod stage (R4), the end of the critical weed-free period for soybean. The fields were plowed on May 17 and then cultimulched on the morning of May 18, the day of planting. 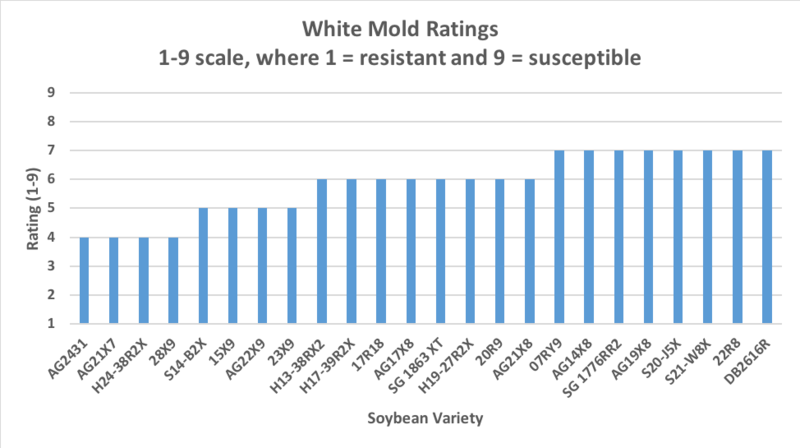 We used the White Air Seeder to plant the treated (insecticide/fungicide) GMO soybean variety, P22T41R2, and the non-treated, non-GMO variety, P21A20, at two seeding rates, ~150,000 (recommended input) and ~200,000 seeds/acre (high input). We also treated the non-GMO, P21A20, in the seed hopper with the organic seed treatment, Sabrex, in the high input treatment (high seeding rate). We used the typical 15” row spacing in conventional soybean and the typical 30” row spacing (for cultivation of weeds) in organic soybean. We rotary hoed the organic soybeans on May 29, followed by a close cultivation on June 14, and then three in-row cultivations (June 19, July 10, and July 26). We applied a single application of Roundup to conventional soybeans on June 20. Conditions were very dry for the 2 months following planting (3.12 inches from May 17 until July 16). 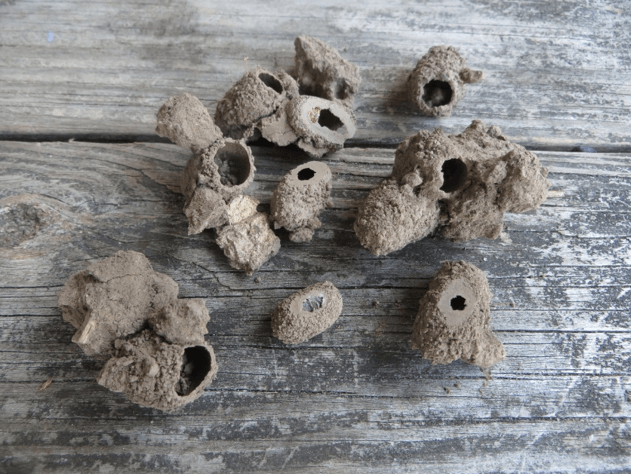 Consequently, weed densities were quite low through late July. Over the next 10-day period (July 17-27), however, 4.89 inches of precipitation were recorded at the Aurora Research Farm. Consequently, very robust weeds (velvet leaf, foxtail, and ragweed in particular) were visible in the organic plots when we took our weed counts on August 10 at the full pod stage (R4 stage), the end of the critical weed-free period in soybeans. 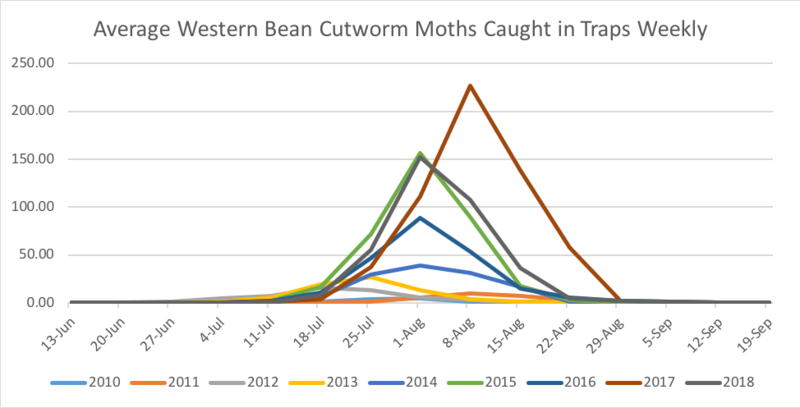 Conditions remained relatively moist with 3.53 inches of rain in August and another 2.0 inches of rain during the first 2 weeks of September. Photo 1: Weed free conventional soybeans (soybeans in the corn-soybean-wheat/red clover on the left and in the corn-soybean rotation on the right) at the R 8.0 stage. Weeds were almost non-existent in the conventional plots that received only a single application of Roundup (Table 2). This is the 4th consecutive year in soybeans where we applied a single application of Roundup for weed control and had almost complete control. Rotation and management inputs did not affect weed densities in conventional soybean (Table 2). The use of the moldboard plow in conjunction with a Roundup application about 5 weeks after planting has certainly been an excellent weed control combination for conventional soybean in this study (Photo 1). 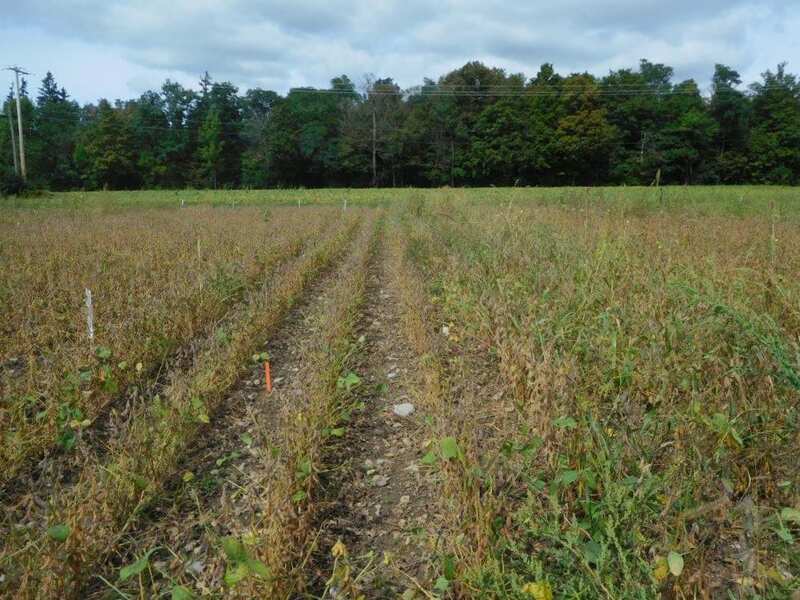 Photo 2: Organic soybean had fewer weeds in the corn-soybean-wheat/red clover rotation (on the left) compared with the corn-soybean rotation (on the right) at the R 8.0 stage. Although weed densities were relatively low in organic soybeans (mostly less than 1.0 weed/m2, Table 2), the weeds were very robust (Photo 2). 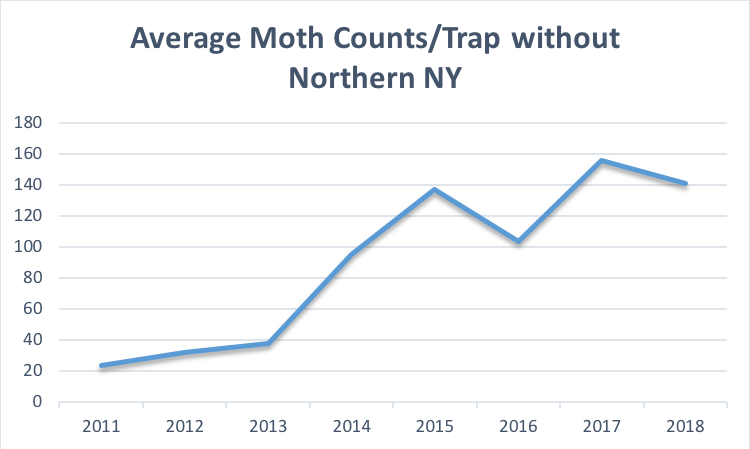 Undoubtedly, the very wet conditions from mid-July through mid-September provided excellent growing conditions for the late-emerging velvet leaf and ragweed. 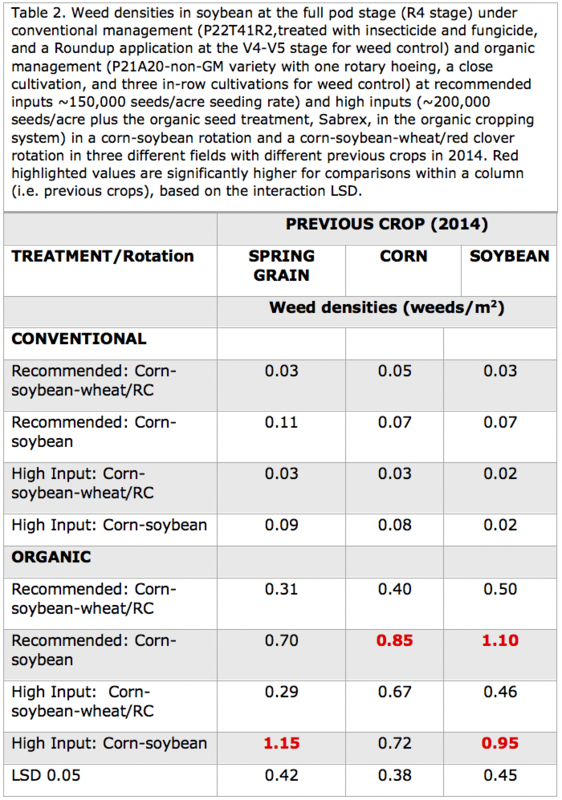 Unlike conventional soybean, rotation did affect weed densities in organic soybeans with higher weed densities in the corn-soybean rotation compared with the corn-soybean-wheat/red clover rotation in all three fields (spring grain, corn, and soybean fields in 2014). We also observed a rotation effect for weed densities in organic corn in 2017 (but not in conventional corn) with far fewer weeds in organic corn in the corn-soybean-wheat/red clover rotation compared to the corn-soybean rotation (http://blogs.cornell.edu/whatscroppingup/2017/08/10/wheatred-clover-provides-n-and-may-help-with-weed-control-in-the-organic-corn-soybean-wheatred-clover-rotation/). High seeding rates did not affect weed densities in organic soybean in 2018. In conclusion, conventional soybean had virtually no weeds in 2018 for the 4th consecutive year when combing moldboard plowing with a single application of Roundup. In contrast, organic soybean had very robust weeds in 2018, which resulted in a somewhat trashy looking field, but weed densities were relatively low for the 4th consecutive year. The corn-soybean- wheat/red clover rotation had lower weed densities when compared to the corn-soybean rotation in organic soybean so the inclusion of wheat/red clover in the rotation appears essential to maintain weed densities at a manageable level in organic soybeans. The very wet conditions from about mid-July (R3 stage) through mid-September (R7 stage), however, may mitigate any potential yield losses in the corn-soybean compared to the corn-soybean-wheat/red clover rotation, despite ~ 2x higher weed density. High (~200,000 seeds/acre) compared to recommended seeding rates (~150,000 seeds/acre) did not reduce weed densities in organic soybean. 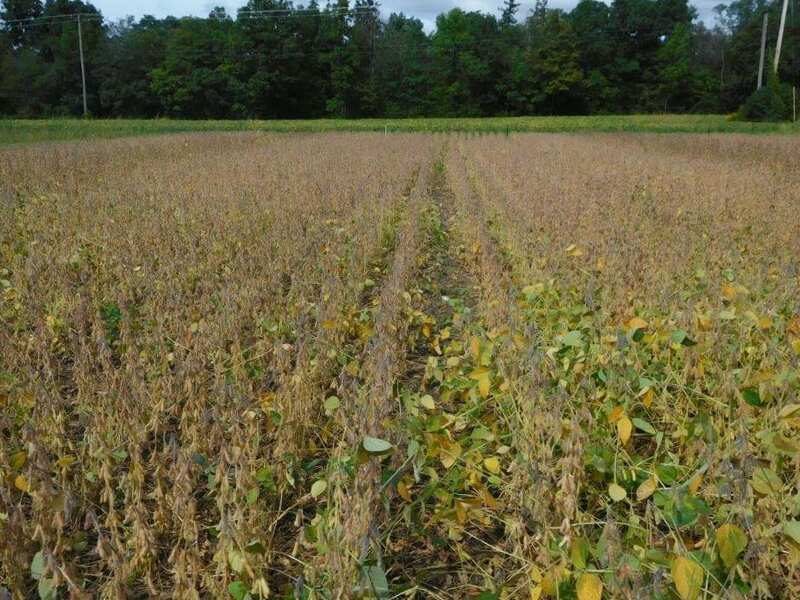 Perhaps more emphasis should be placed on identifying the best crop rotations rather than high seeding rates for reducing weed densities in organic soybean in New York. A great deal of time is spent on the basics of an optimum corn silage harvest. This time is justified as these steps are critical to a successful harvest, where the decisions made during a very short time period impact the farm’s production performance and economics for the upcoming year. These important decisions include harvesting at the proper dry matter, adequate kernel processing, proper length of cut, and proper packing and covering of bunk silos. An overview of this information is covered in Setting the Stage for Success: Corn Silage Harvest. The following will cover additional considerations for understanding and managing the forage quality of the crop. As part of the Corn Silage Hybrid Evaluation program, we have focused significant attention over the last two growing seasons on the interactions between growing environment and corn silage forage quality. While this work is still developing, it does build on earlier knowledge of the impact of growing conditions on plant development, and provides some insight into managing the corn silage crop for forage quality. 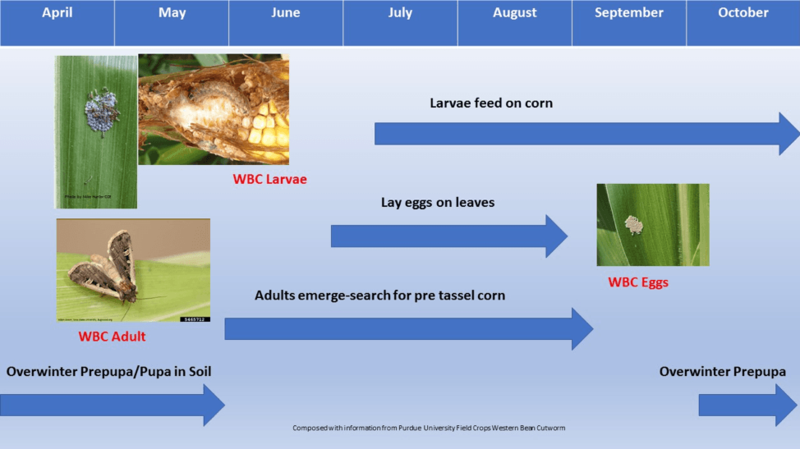 Plant physiologists have long understood that characteristics of corn ear development are determined early in the growing season. 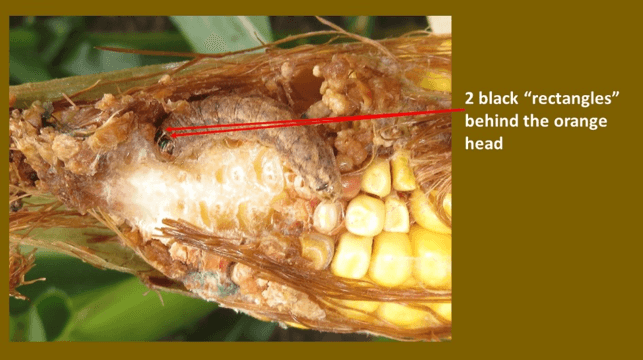 Before the crop even reaches the reproductive stage of growth it has already determined the number of kernel rows per ear and the number of kernels per row. It is also understood that hot weather around the time of silking (three to five weeks) can lead to increased lignin content in the plant. In recent years, long term fiber digestibility measurements by laboratories have become more common. Neutral Detergent Fiber (NDF) digestibility at 30, 120 and 240 hours is now commonly measured, as well as the undigested NDF (uNDF) at these same time points. In 2015 and 2016, the Dairy One Forage Lab conducted a study where they tracked season-long weather information and measured its impact of uNDF content of the silage. 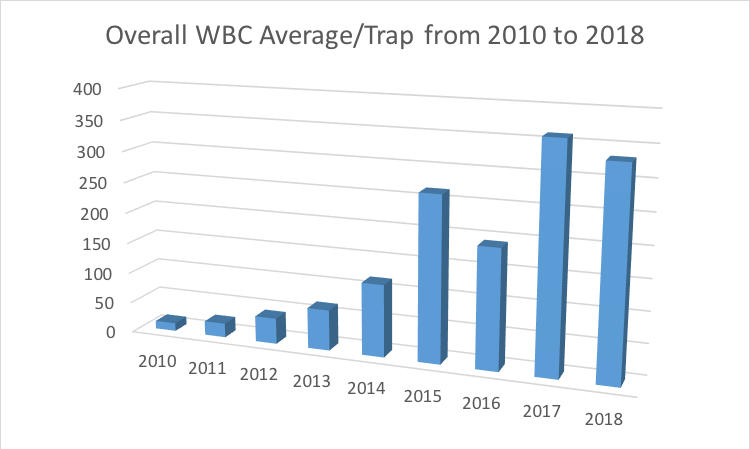 While we have seen these same trends in the Corn Silage Hybrid Evaluation program, we are awaiting more site years of data in order to draw stronger conclusions. The impact of this information on the 2018 crop will be of interest as we have had an overall warmer than average growing season, despite a relatively cool June, in addition to above average rainfall in August after excessively dry to drought conditions earlier in the season. Given the number of factors that affect forage quality, and their field specific nature, we continue to encourage producers to take samples at harvest, making sure to record both hybrid and field location. This information will help determine the farm specific impact of growing conditions, planting dates, hybrid selection, and soil type on resulting overall forage quality and, specifically, fiber digestibility. Sampling could also be done at feedout in situations where you are able to document exactly where specific fields and hybrids are located within the storage structure. Corn silage harvest height tends to be a topic of discussion in years of above average yields or significant carryover from the previous year. As we enter the 2018 harvest season, many farms have adequate carryover of (generally lower digestibility) corn silage. 2018 crop conditions vary greatly, and while some areas may be faced with below average corn silage yields, there are areas of the state where yields are expected to be above average. For some, the prospect of having a corn crop with better fiber digestibility to dilute out the remaining inventory of poorer 2017 corn silage is of interest. A number of studies have been conducted to determine the pros and cons of varying the cutting height of corn silage and Penn State provides a good review these. Given the significant impact that growing season and other management factors can have on forage quality, it is not surprising to see some variation in the end results. This is also true of the magnitude of impact that cutting height can have on corn silage. However, when averaged together, we can develop a few “rules of thumb”. 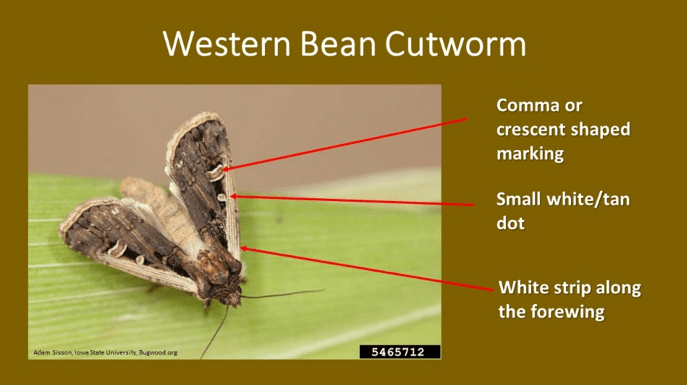 In general, when starting with a cutting height of six to eight inches, raising the height of cut by approximately 12 inches, to 18-20 total inches, will result in the loss of approximately two tons per acre of yield (at 35% dry matter), but will gain five to six percentage points of NDF digestibility. 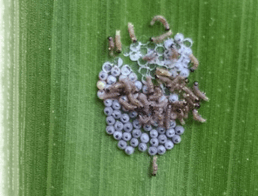 Furthermore, given the fact that you will be harvesting less stalk but the same number of kernels, the percentage of starch in the resulting silage will increase. In addition to the factors already discussed, the apparent interaction between Fiber Digestibility and Soil Type is another piece of relevant information from the Dairy One study and the Corn Silage Hybrid Evaluation program. Preliminary data indicate a trend of lower fiber digestibility on heavier soils. The work by Dairy One found that Hydrologic Class A (well-drained soils) were lower in undigested NDF (uNDF) than other soil classes. 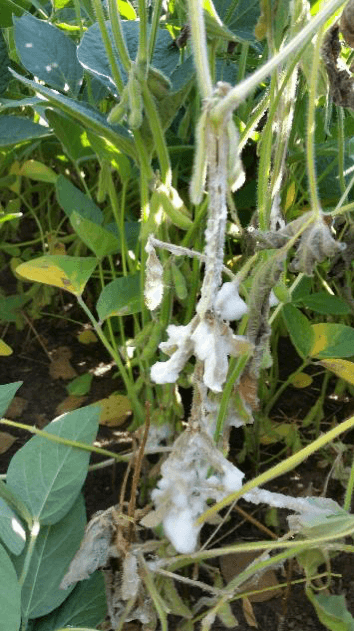 While it may be a little late for this year, those serious about making decisions to optimize yield and quality in the future may be interested in an idea suggested by Dr. John Goeser at Rock River Laboratories. Many farms now “stage” corn fields prior to harvest to determine harvest order based on whole plant dry matter. During this time, it is suggested that you cut some stalks (Dr. Goeser recommends three to four stalks per height) from each field at different heights, chop them up, and send them to the lab for analysis that includes NDF digestibility; similar to collecting a representative bundle of stalks for whole plant dry matter testing. In this way, you will be able to better understand the impact of cutting height given the unique conditions that your corn crop experienced during the growing season, and therefore, better understand the tradeoffs between yield and quality for that season. Common cutting heights are in the range of six, 12, and 18 inches, but could vary by farm. If you traditionally chop low to the ground, then picking an increased height that provides a reasonable tradeoff based on what we know about yield decline with increased cutting height, will give you an idea of what could be gained in forage quality on your farm.